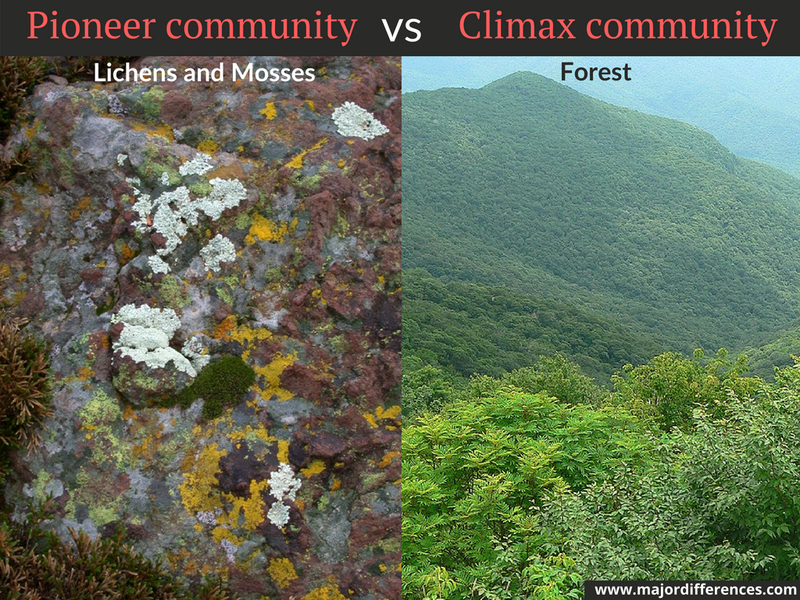 The first set of species or community that develops in a bare area in ecological succession is the pioneer community. Examples: Climax species: White spruce (Picea glauca) climax species in the Northern forests of North America. 1. Guariguata, M. R., & Ostertag, R. (2001). Neotropical secondary forest succession: changes in structural and functional characteristics. Forest ecology and management, 148(1-3), 185-206. 2. Tobin, A. J., & Dusheck, J. (2005). Asking about life. Cengage Learning.